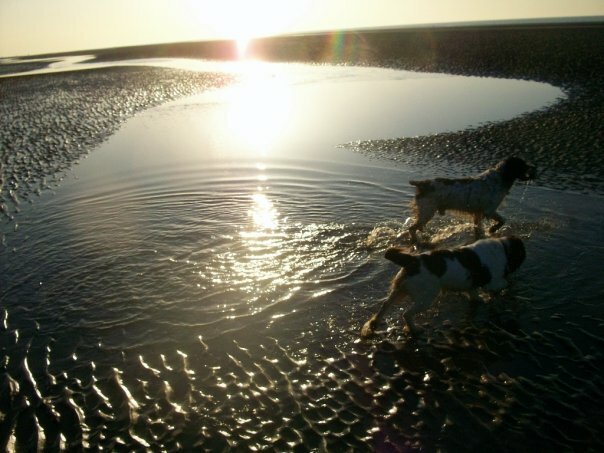 Today, some pictures of beaches for dogs, and dogs on beaches. Just because. 1. 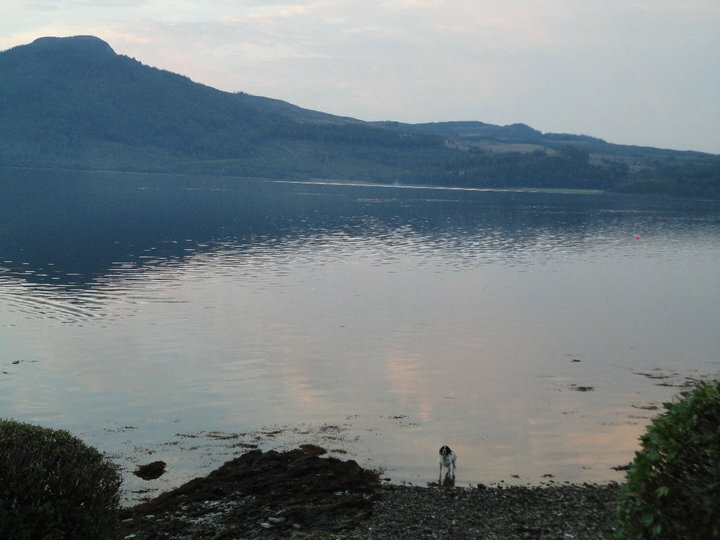 Loch Fyne. 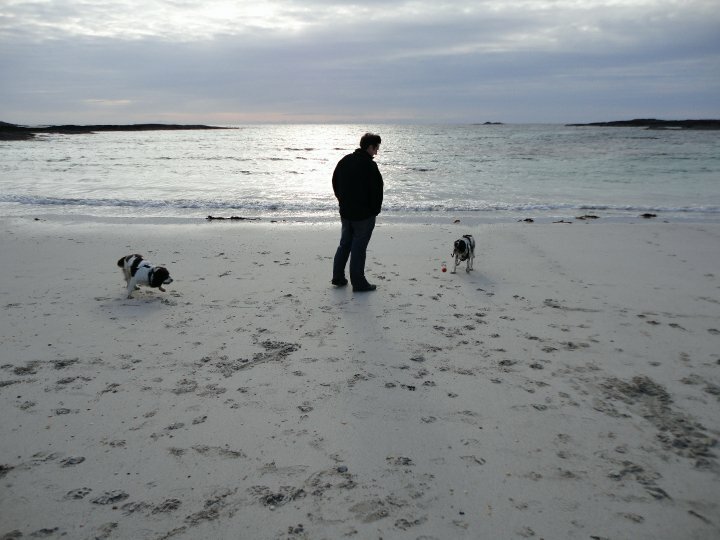 This was the private beach of a cottage we have rented on a few occasions. It’s tiny, but pebble heaven, and the tide is gentle enough to let your dog lurk out there all day, if that way inclined (ours is). Beautiful sunsets in this most beautiful part of the world. 2. Applecross. Brave the Bealach na Ba for breathtaking views to the Isle of Skye and, further round the peninsula, the Torridon mountains. 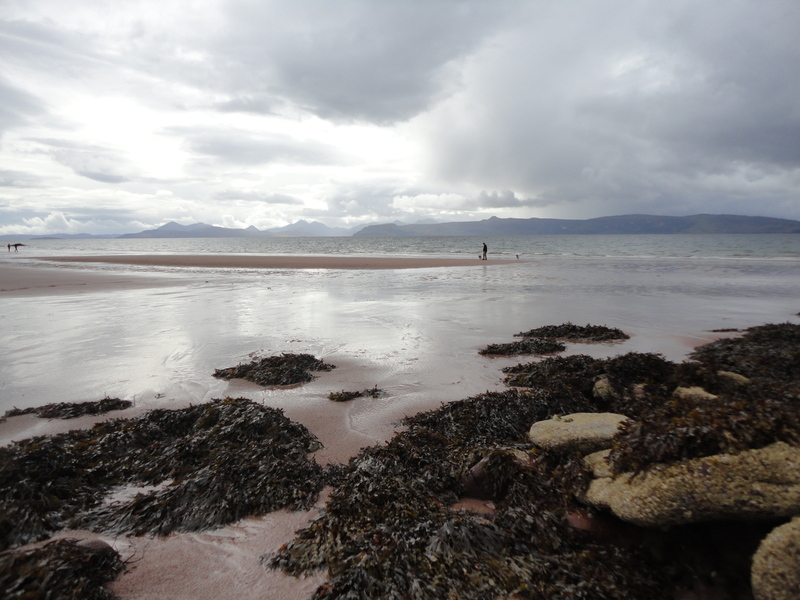 Applecross bay is glorious, but the picture below is from Sand, a short drive up the road from Applecross, or a very easy and pleasant walk. 3. Arran. For seals, and otters, and beautiful views of Holy Isle. (And lots of other stuff). 4. Harlech. Splendid huge sandy beach. And a castle. (We just went to the beach). 5. Westport. 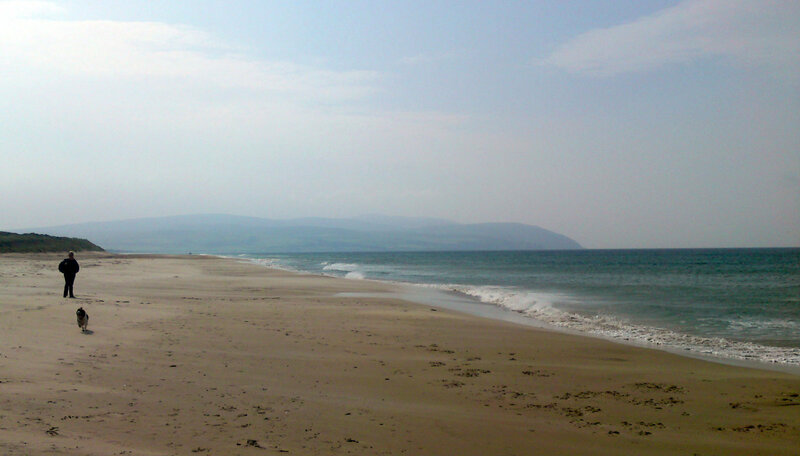 On the way to Campbeltown on the Kintyre Peninsula. Beautiful, vast, quiet sandy beach. 6. 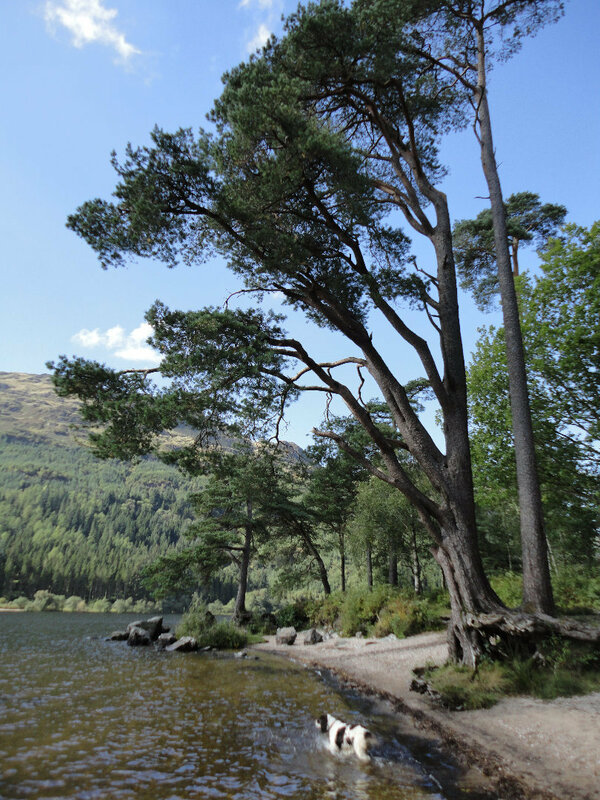 Loch Eck. Picture perfect loch on the Cowal Peninsula. Tiny, magical little beaches with glorious views, safe swimming for the more tentative spaniel (or, indeed, spaniel owner). 7. Ardnamurchan. 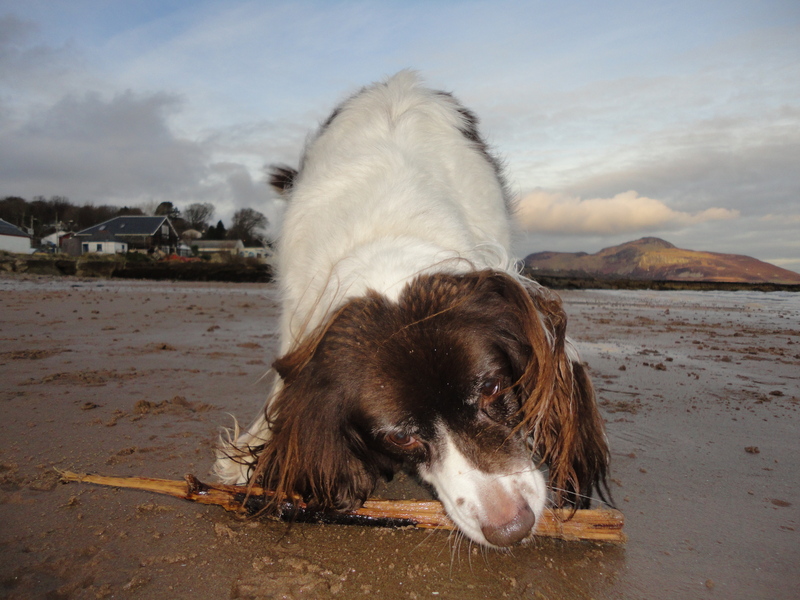 I can’t quite remember exactly where this beach was (possibly Salen?) but it was one of our stopping points on a day tour of this most westerly area of Britain, with Caribbean white sands and turquoise seas (but, sadly, not Caribbean temperatures, though this was alleviated by a hefty swig of Lagavulin). 8. Formby Point. There’s a definite Scottish bias to the preceding entries, so here’s a more local one to finish with: the huge, spectacular sand dunes at Formby Point. 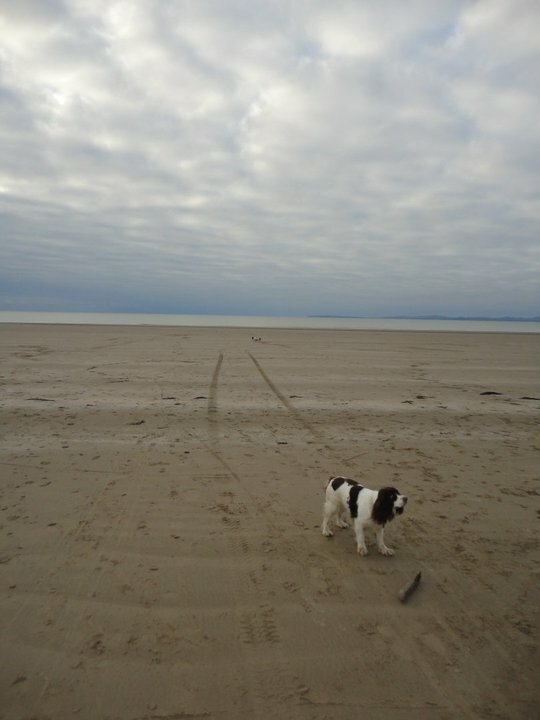 I couldn’t quite make it to ten entries for this post, as I got side-tracked looking through photos of H and I and our dogs on various beaches. 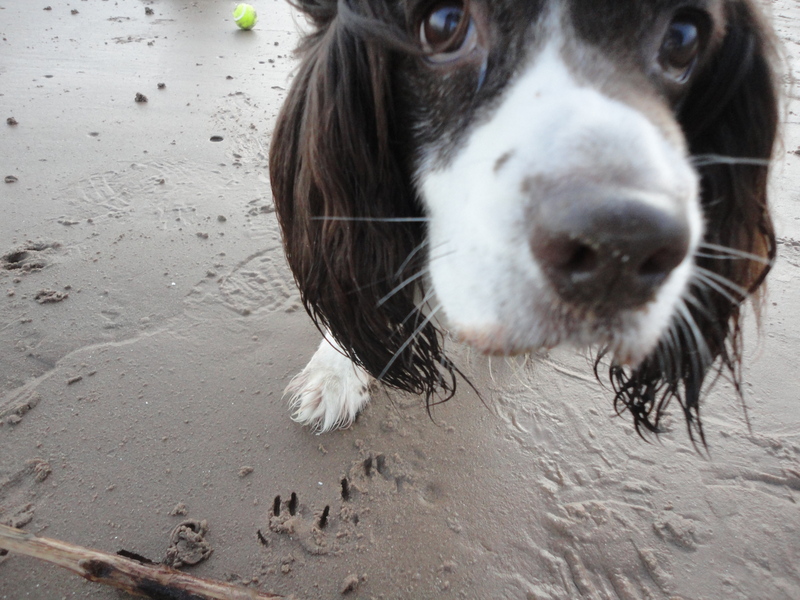 H often says that he is never happier than when throwing a ball for a dog on a beach. I think the feeling is mutual.